There are recycling program set up in every major city across the country and Miami is no exception. The goal with any recycling program is to keep as much stuff out of local landfills as possible. When garbage is left to decompose it’s when it releases toxic compounds. Of course, not everything that’s thrown out in the landfill would be considered toxic. That’s even more reason to recycle. Here are some fun recycling facts that might inspire you to recycle even more. Glass is one of those recyclable materials that can be reused hundreds, if not thousands, of times without losing any integrity. Each year Americans throw away around 9 million tons of glass. That’s enough glass to fill a line of tractor-trailers from LA to New York and back again. What about plastic bottles? We toss out around 25 million bottles each year. As for recycling programs, 90% of all Americans have access to either a drop-off recycling facility or a curbside pickup. Since 1990, recycling paper has increased and 90%. Those are all good numbers but you might be surprised to realize that 75% of all the trash that we throw out is recyclable. However, we only recycled 30% of that number. When you consider that we make over 200 million tons of trash each year it becomes very significant. Why is recycling important? One recycled aluminum can save enough energy to power TV for night of binge watching. A single recycle glass bottle can save enough energy to power up your computer for 25 minutes. A plastic bottle that’s been recycled can save enough power to light a light bulb for three hours. And when 1 ton of paper is recycled it saves up to 682 gallons of oil, 7000 gallons of water and 3.3 cubic yards of landfill space. In fact, 27,000 trees are cut down each day just for all the toilet paper that we use. Your recycling doesn’t have to stop at the recycling bin. 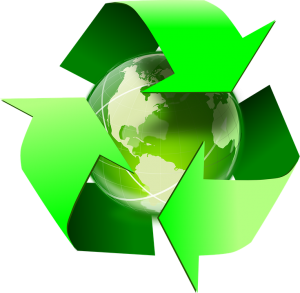 You should think about recycling anytime you get rid of a piece of furniture, appliance or electronic device. Those can all be recycled as well even if it means donating them to a charity. This is where company like Junk King Miami comes into play. They make recycling the number one priority. You don’t even have to ask for this service. It will happen automatically. Junk King Miami is your perfect recycling partner for all your unwanted junk. This entry was posted in Miami Junk Recycling and tagged junk king, junk removal, recycling on November 27, 2017 by Junk King. Last updated November 27, 2017 .